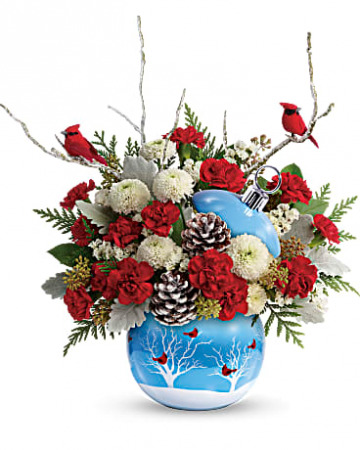 Share the magic of a white winter forest with this alluring Christmas bouquet, presented in a hand-glazed ceramic ornament adorned with captivating cardinals! 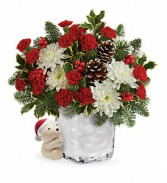 Red miniature carnations, white button spray chrysanthemums, white sinuata statice, seeded eucalyptus, dusty miller, flat cedar, and lemon leaf. 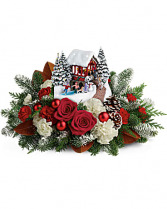 Delivered in a Cardinals In The Snow ornament.